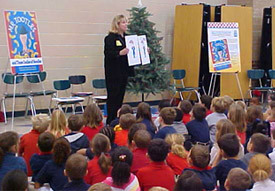 Author Maryceleste Clement has had lots of exciting times doing school visits to share her Tootle Tales with children. She can’t wait to do more visits! 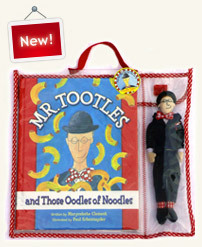 Presently, though, she’s taking a Tootle-Time Out (hiatus) while she works on the Mr. Tootles and Mrs. Bea puppets (how cool!) and gets Tootling Tootles up and running. There will be plenty of opportunities for interactive school visits coming up soon! So stay tuned and check out Tootling Tootles for coming attractions. Place an order through our store for $50 or more and get FREE shipping!